The AT-AT, or actually known as the All Terrain Armored Transport, is one of the most well known and beloved vehicles in the Star Wars franchise. There was something about them, probably their size, that we all connected with they were storming the rebel base in the The Empire Strikes Back. 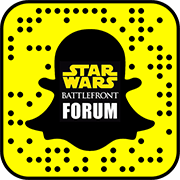 While these vehicles will be in Star Wars Battlefront you will not be able to actually drive them, you can only use their weapons as they will essentially be on rails. While many were disappointed in the fact that we couldn’t take these anywhere on the map, they will still be a fan favorite. These are the smaller blaster weapons located on the side of the head of the AT-AT that provide quicker blaster firepower. The All Terrain Armored Transport has the ability to call in strike from outer space that will rain down terror on its foes. 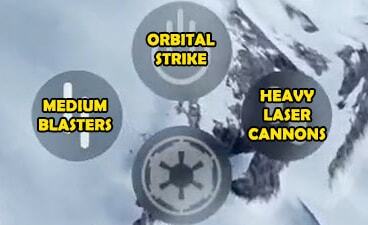 These are the more powerful cannons located under the head of the AT-AT that will deliver more damage.